Your car won’t start or run without a battery. So, it’s slightly crucial. A quality battery installment is the key to the long life of your auto electrical system. Your alternator has to make up for it, when If your battery isn’t working efficiently. Electrical components can add wear as well. Clean of residue? A dirty battery will drain more quickly. Clean of corrosion at the terminals where the battery cables attach to the battery? 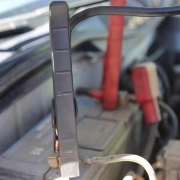 Corrosion interferes with how electricity passes back and forth through the car battery. Check the cables. Make sure they are tight. Corrosion can actually eat through the battery cables. Are the cables corroded? Your battery will also last longer if you keep your fuel system and ignition system clean. It’s all part of your commitment to regular maintenance, to keep your vehicle running on for a longer period of time. 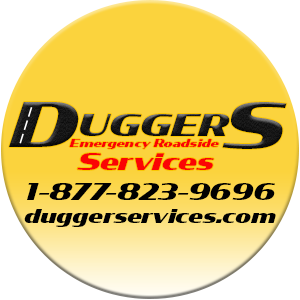 If you are stranded or stuck because of a dead battery Call Dugger’s. Dugger’s Services is a proud sponsor of the New Mexico Sheriff and Police Athletic League.